OIL supermajor Royal Dutch Shell said yesterday it had bought back more than £18million of its own shares. 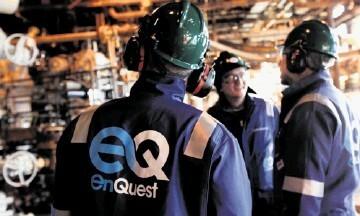 The UK-Dutch firm said it had bought 935,000 B shares at £19.82 a share. Earlier in the week, Shell said it would begin a share buyback programme to offset dilution created by the issuance of shares for its scrip dividend programme. The shares closed up 3.6% at £20.18 last night. US crude dipped last night in continued volatile trading after two days of gains. September crude settled down 34 cents at $85.38 a barrel, but Brent crude edged up a cent to $108.03.